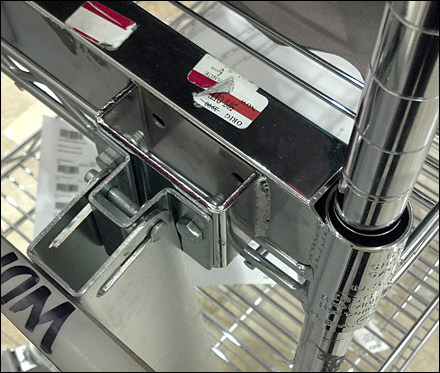 I thought I knew Metro® equipment and carts. 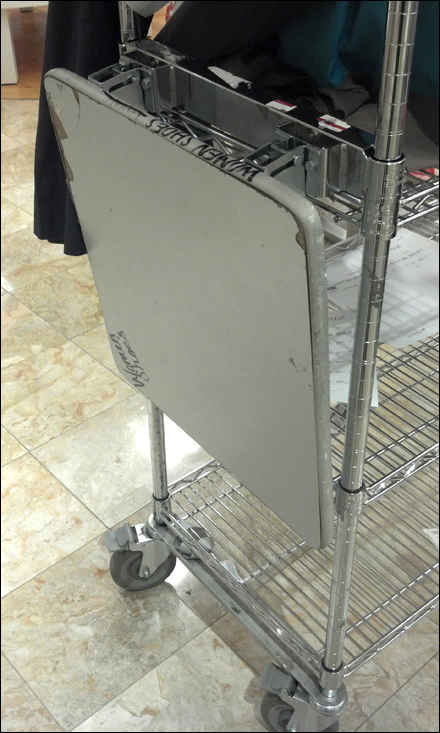 But this handy transport cart folding work surface surprised me. I certainly can see where it world come in handy for folding apparel and working on price labels. Based on the quality of the finish, though badly abused at this point in its life, I suspect it is original Metro. CLICK the thumbnail for a closeup of the action.